Container comes with dust cap and 28mm vent cap. 70TE Caps are sold separately. RKC-SC76RTE cap has a 3/4" center reducer that can be removed and a 3/4" faucet can be threaded into the cap. RCK-SC76RTE is a 70mm cap with 6 threads per inch for stronger seal and tamper evidency. The 28mm vent cap is included. RCK-SC76RTEBLACK is a 70TE Cap in Black that may also be used. Please call for pricing on our 5 Gallon Plastic Drums. If you intend to order a quantity significantly greater than 36 of this item you may request an individual price quotation. 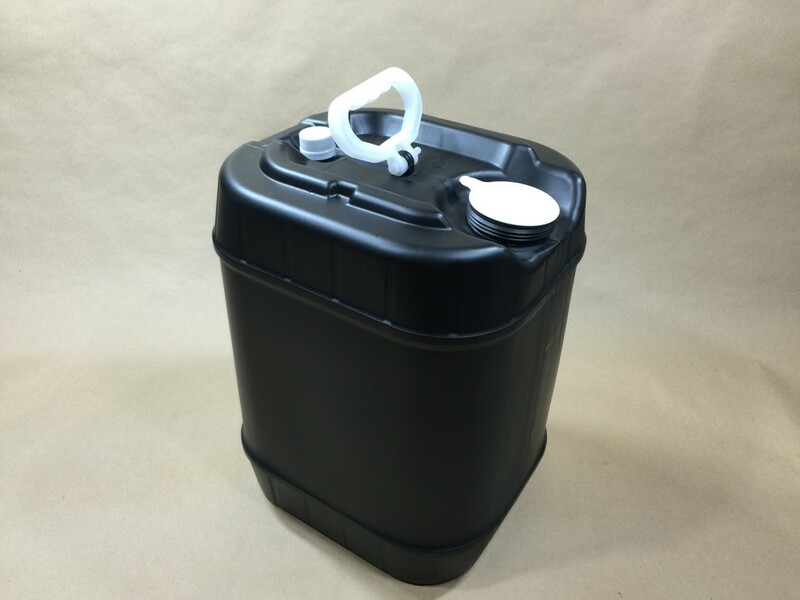 How your 5 Gallon Plastic Drum order is shipped depends largely on the size of your order. For this reason shipping information relevant if you are ordering one case may not be relevant if you are ordering 10 cases of the same item.